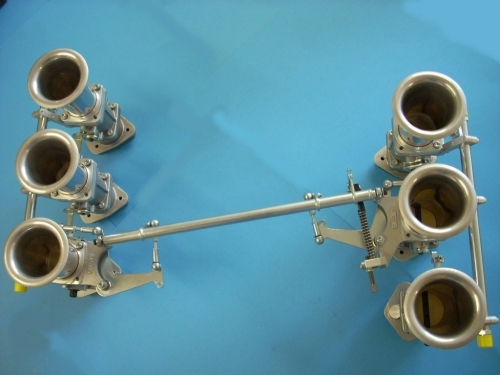 Porsche 3 stud ITB throttle body kit from Jenvey Dynamics includes six SF45/0/1 throttle bodies with a special linkage, six individual EFI inlet manifolds which can be bored to the size of your inlet port, two fuel rails and six 90mm long airhorns. Jenvey throttle bodies and all Jenvey throttle body accessories are engineered for Motorsport, offering excellent performance, reliability, lightness and value. This kit is ideal for road, track or rally use. See CKPEO3 for a tapered option. This kit is for the 3.6 and 3.8 litre 964 cars. Made to order – up to 2 weeks to dispatch.